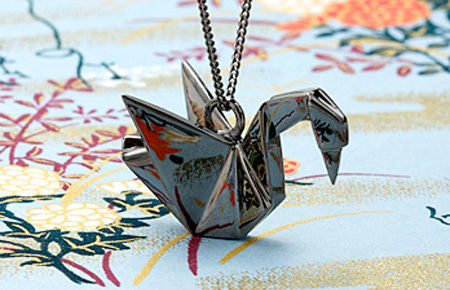 Collection of unusual and creative necklaces that will look great on your neck and get you noticed. 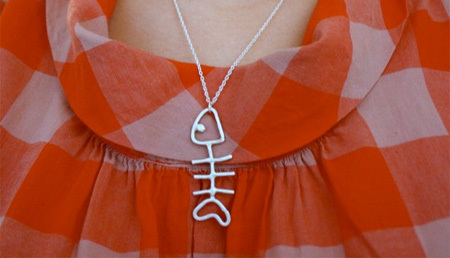 Stylish bicycle shaped necklaces designed by Rachel Pfeffer. 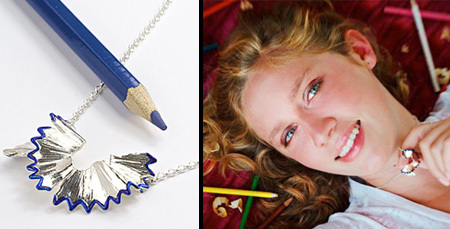 Creative necklace with frozen ice cubes that will melt on your neck. For all the people who have tried to save a beautiful pencil shaving, here is one that you can keep forever. 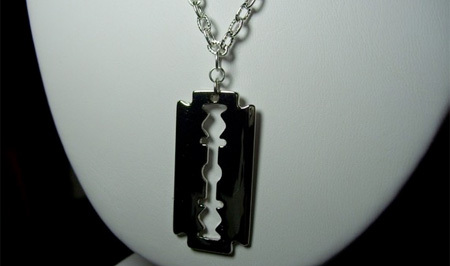 Razor blade necklace hangs from silver oval shaped cable chain. 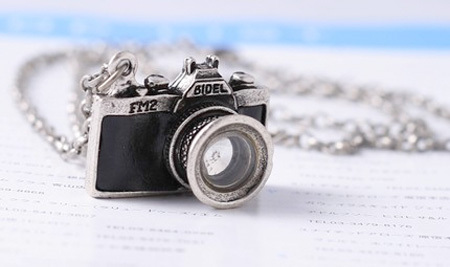 Black and silver metal camera necklace designed for photographers. 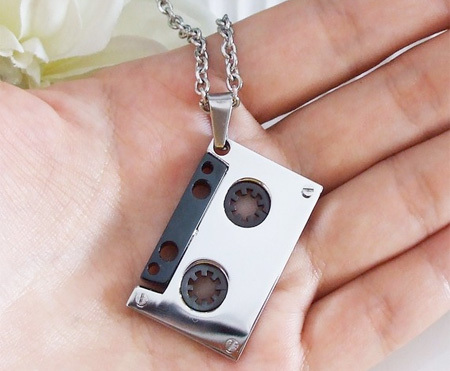 Face the music with this awesome cassette tape inspired jewellery. 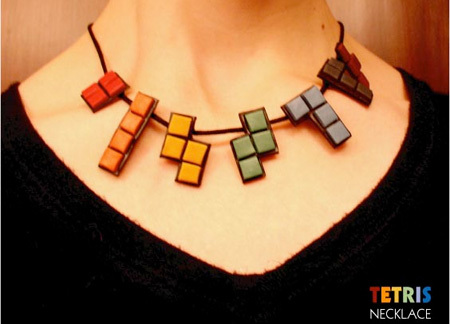 Nerd Specs necklace is a great conversation starter at a party. Swans are universally known as a symbol of love. Unique sterling silver necklace looks like a toilet paper roll. 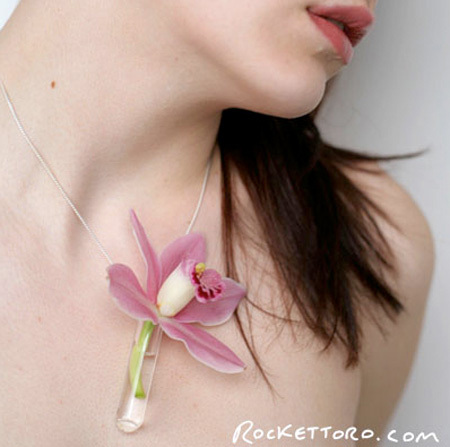 This handmade glass vase necklace was designed to hold a few drops of water and your favorite flower. Handmade from real zippers which can be zipped to desired length. what is it with toxel posting toilet inspired things recently? the pancake, the cup and now the necklace? 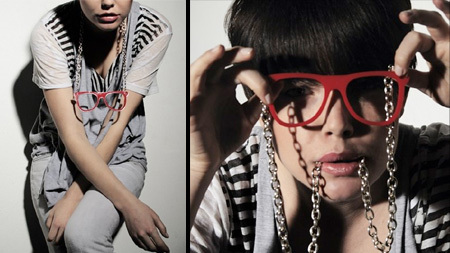 i just don’t get the appeal..
“Nerd specs” necklace- overdone concept. Zipper “necklace”- really? I mean, seriously? 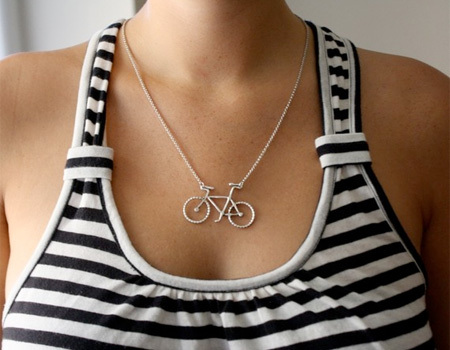 LOVE THE BICYCLE NECKLACE!! LOVE EM ALL! I guess anyone can make a necklace with ice :D It may be useful in the torrid summer days :) I find the glasses necklace seriously cool, it is the perfect accessory for a retro outfit. Why do people think the glasses necklace cool? Don’t any of you remember your grandmothers wearing their glasses on a chain? I sure do. Most of this stuff looks like it came from Clair’s. In other words, not bad if you are 15 but otherwise sort of silly. not a great collection….ice necklace? seriously? Like Gert said, my granny still uses her glasses on a chain, but these look so much cooler! I really like the flower one! They missed necklaces made of food, or to look like food, those are fun too. Am I the only one who loves the firefox necklace? I like the zipper on. :D normally i just tie a shoestring around my neck..
love the ice necklace, can’t wait to make one myself, the flower necklace is adorable. Love them all, very original. LOVE LOVE LOVE them all but i love the zipper one the most!!!!!!! the ice cube one is really cool but melts… so…. AWESOME!!!!!!! I really love the firefox one!!!! I want one!! Also love the flower one, so pretty!! 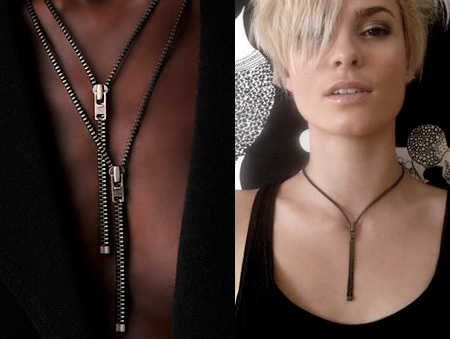 The zipper necklace is not a fresh concept. I used to sell and inexpensive zip necklace in the early 80’s while on a flea market junket. We sold E.T. 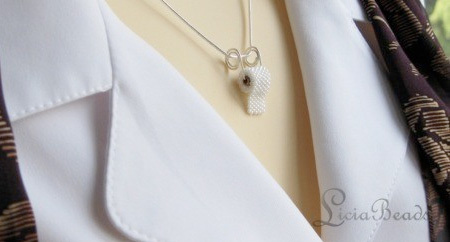 necklaces as well. Brings back fun memories. Love the Zipper one, very unique! How much would that cost me to own one?! I love the zipper and the firefox ones. I managed to make one of the zipper necklaces long before I saw it on this. So stoked that I am cool kinda, maybe I should start selling them if they go for nearly 60 NZ dollars!